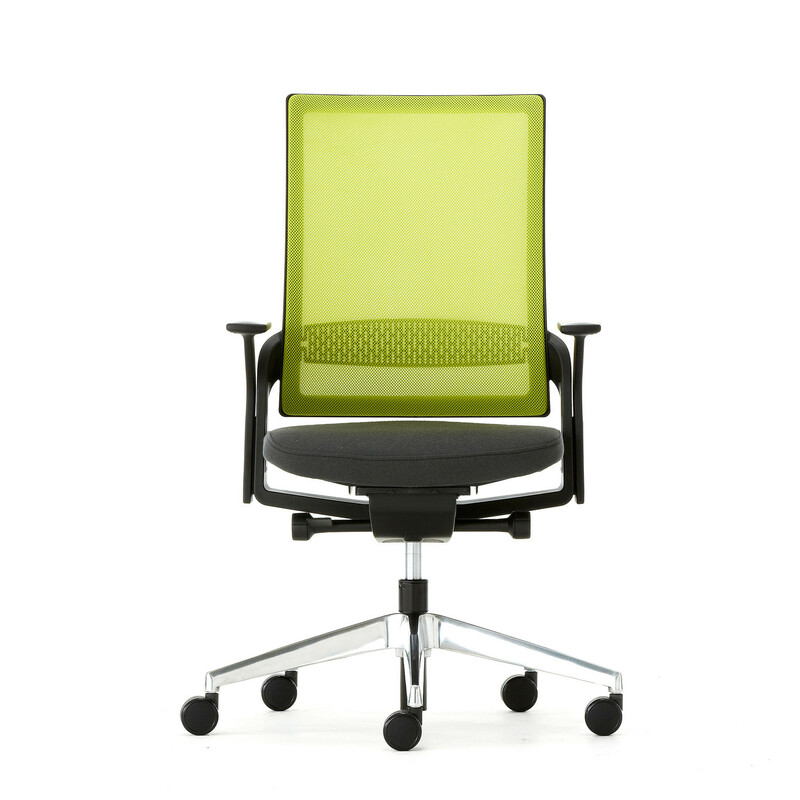 Ecoflex Task Chair by Justus Kolberg. 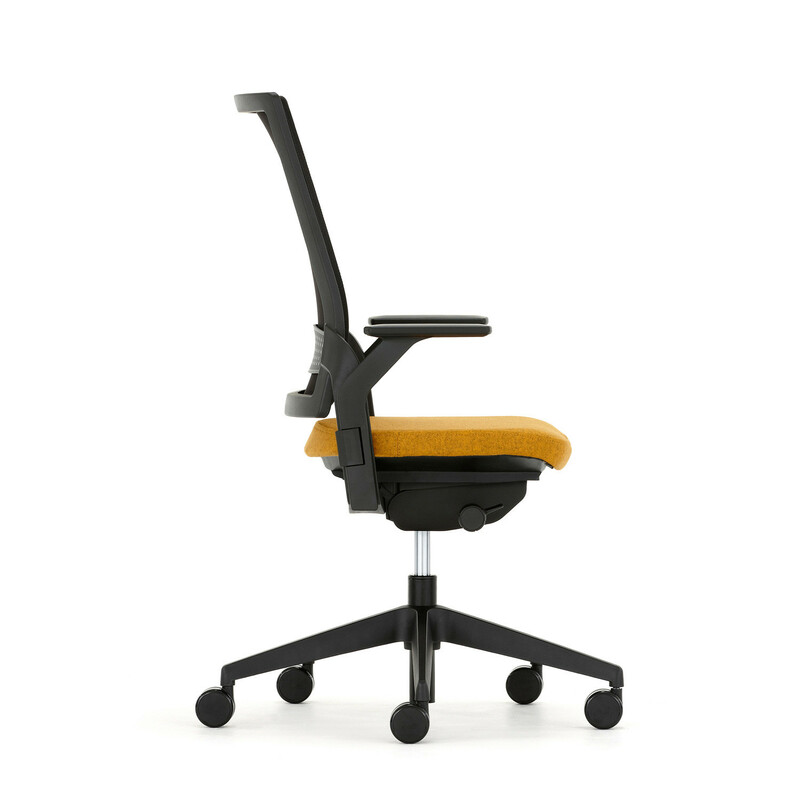 The meticulous engineering detailing of the back frame integrates features for the optional height adjustable arms and the height adjustable lumbar support. 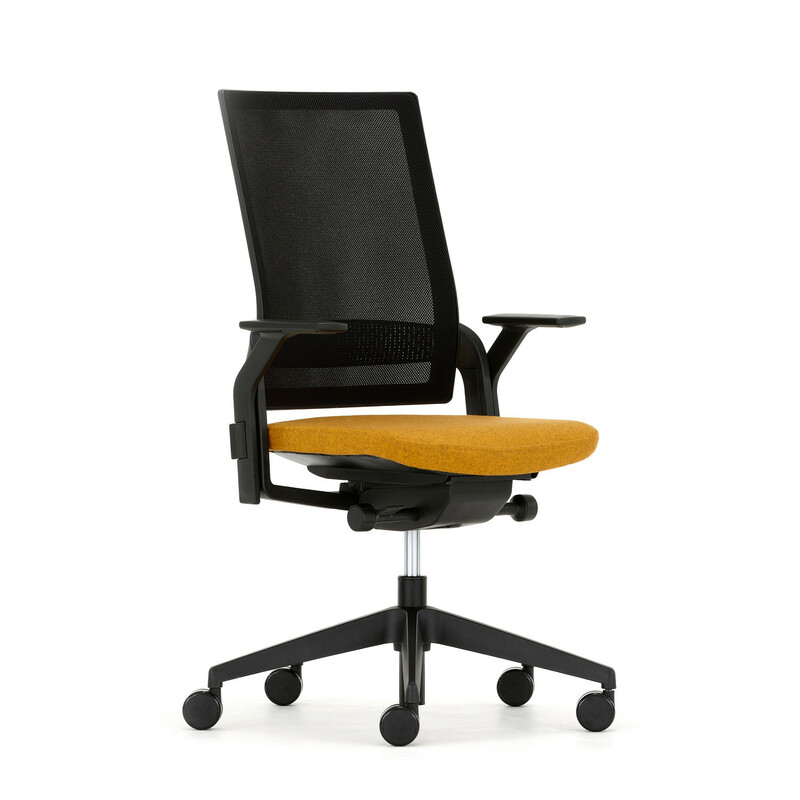 This modern ergonomic office chair utilises a new generation of dynamic synchronous action that provides the user with flexibility, comfort and simplicity of adjustment. 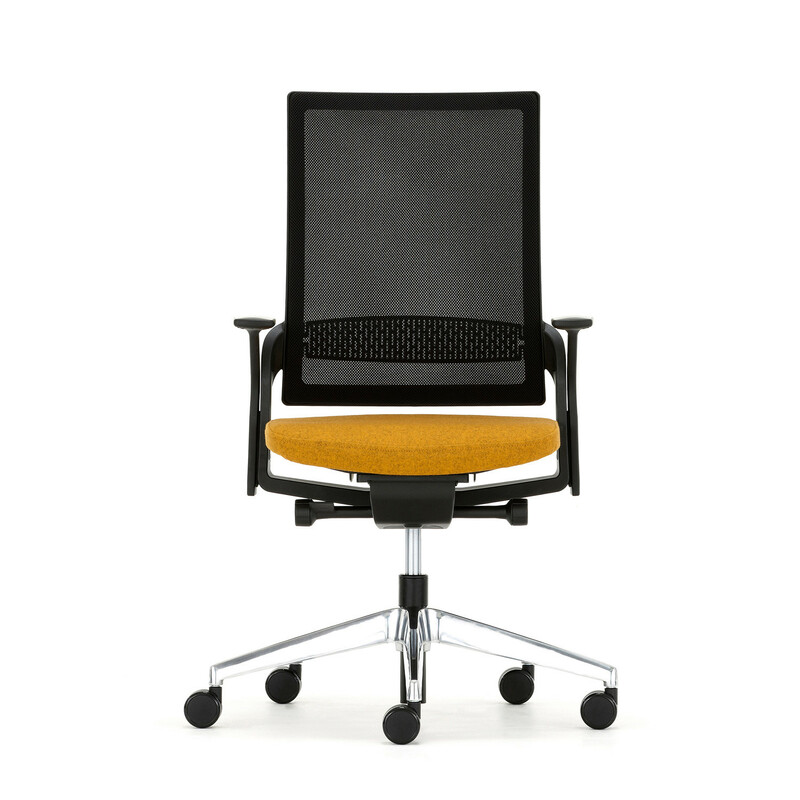 Ecoflex Office Task Chair is an aesthetically pleasing design which offers the sitter comfort and simplicity. 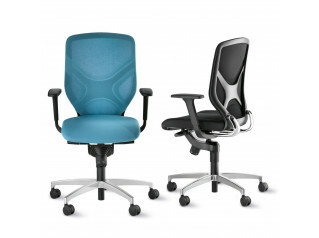 Ecoflex Mesh Office Chairs come standard with adjustable lumbar support integrated into the seat's ergonomic back frame. 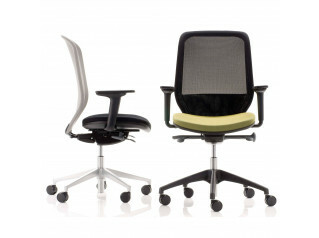 The guiding principles of economy and flexibility are clearly evident in this task chair. The dynamic synchronous tilt action features a high geared tension adjustment and a three stage travel limited with upright lock. 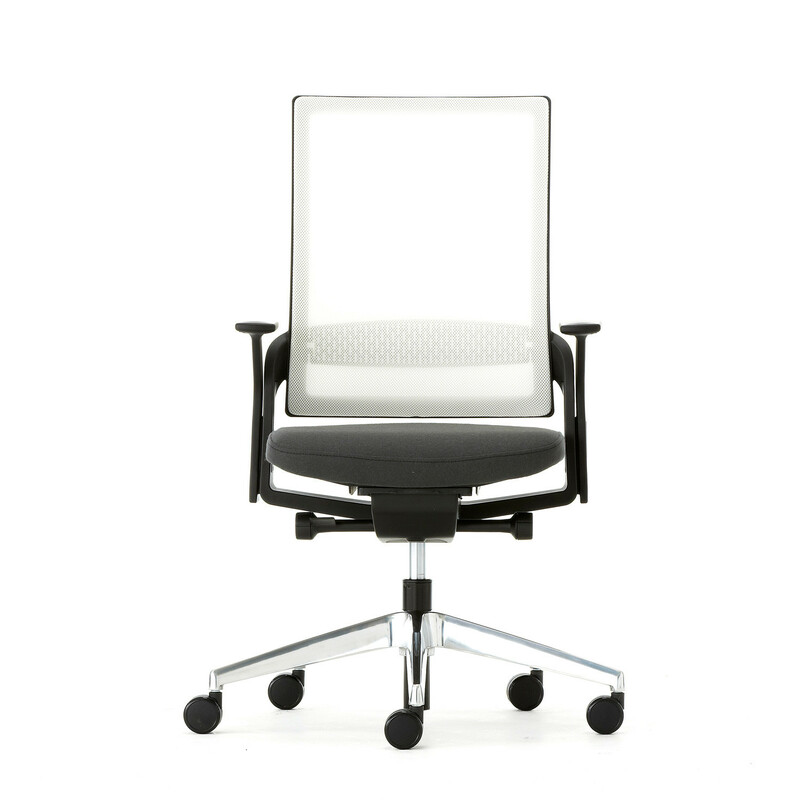 The 3D self supporting mesh back is available in black, or in a choice of five colours. 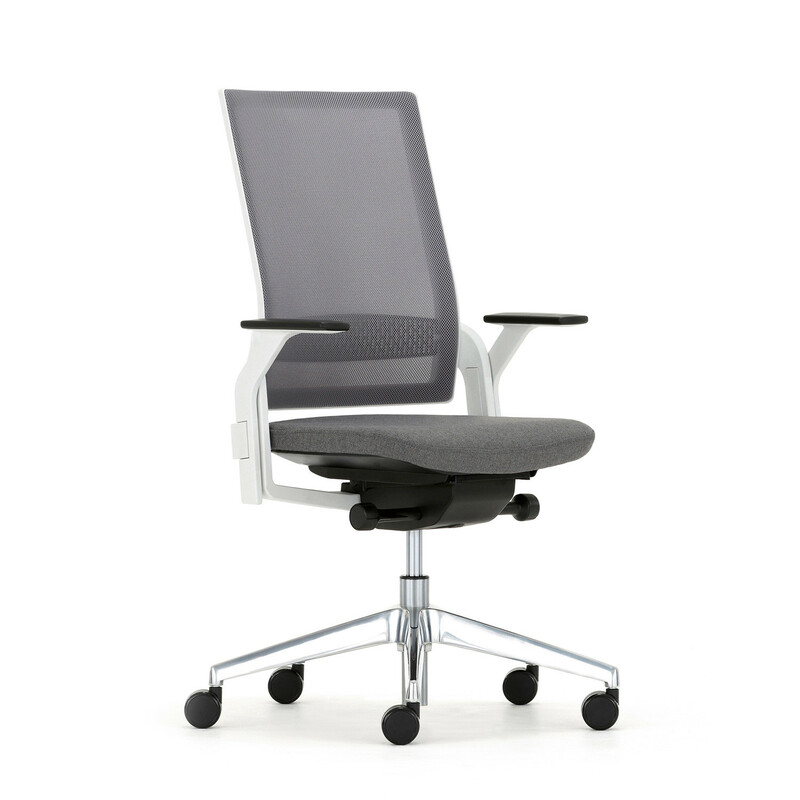 Optionally, Ecoflex Task Chair offers seat depth adjustment, height adjustable arms, polished aluminium base and castors for hard and soft floor coverings. A wide range of upholstery options: fabrics, vinyls and leathers are available to choose. 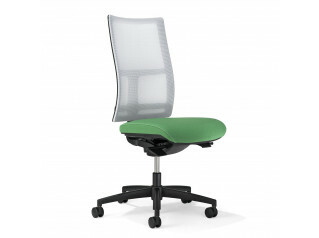 You are requesting a price for the "Ecoflex Task Chair"
To create a new project and add "Ecoflex Task Chair" to it please click the button below. 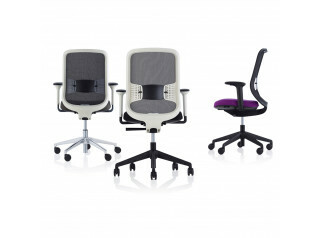 To add "Ecoflex Task Chair" to an existing project please select below.